Eaton E22 Series Contact block has a voltage rating of 600-Volts AC, 250-Volts DC and contact rating of 10-Amps. The 1 NO, 1-Pole block has phenolic construction with silver contacts for durability. 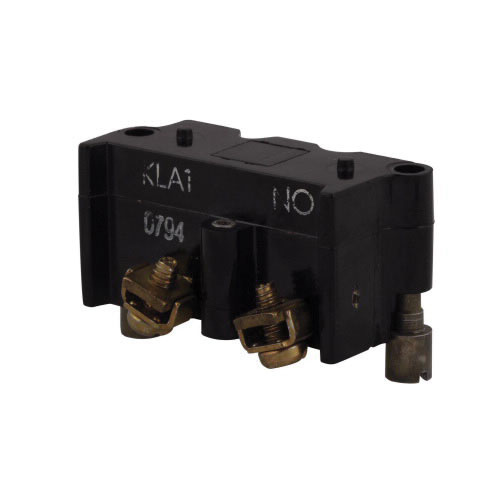 The standard, heavy duty contact block has 30.5-mm hole diameter and features screw terminals for connection. The contact block meets UL and CSA standards.